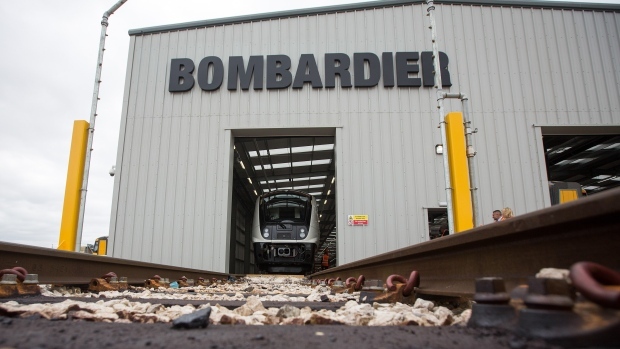 MONTREAL -- Bombardier Inc. has signed a US$669-million deal to provide 113 commuter rail cars to New Jersey. The company says the contract will yield no additional work in Canada, with Buy American rules prompting Bombardier's plant in Plattsburgh, N.Y., to build the multi-level cars, rather than its facility in Quebec. The minimum content threshold will increase to 70 per cent by 2020. Announced Wednesday, the agreement with New Jersey Transit Corp. includes options for up to 886 additional rail cars. It's Bombardier's third commuter car deal with the state-owned transit agency, following contracts awarded in 2002 and 2010.